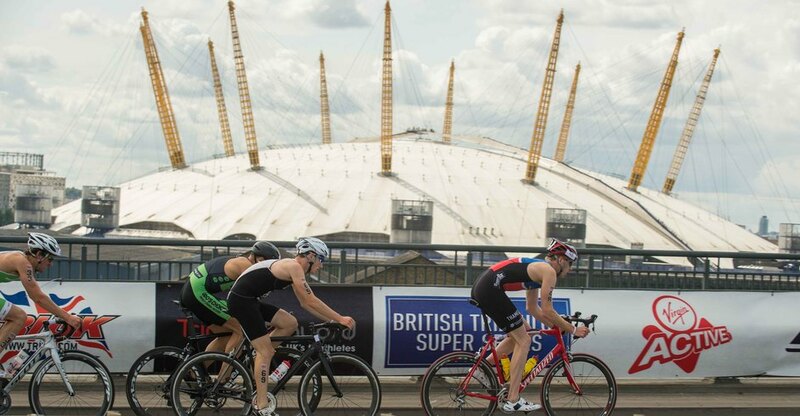 The triathlon is fast replacing the marathon as the event of choice for testing your body to the limit and with 13,000 entrants participating, the London Triathlon is the world's largest event of its kind. Competing in a punishing programme of running, swimming and cycling, there's something for all levels of ability with a choice of distances - Super Sprint, Sprint, Olympic, Olympic Plus and Team Relay. A strong focus on raising money for charity sees £1 million typically raised each year and celebrities, major sporting figures and some of the world's best triathletes are all expected to take part watched by some 55,000 spectators lining the streets near the ExCel Centre in Docklands where the triathlon starts. What are the best dining options near London Triathlon London? London Triathlon gyms, sporting activities, health & beauty and fitness. The best pubs near London London Triathlon. London Triathlon clubs, bars, cabaret nights, casinos and interesting nightlife. Where to have your meeting, conference, exhibition, private dining or training course near London Triathlon. From cheap budget accommodation to luxury 5 star hotels see our deals for ExCeL London hotels, including Crowne Plaza London Docklands from 90% off.